New address, new neighborhood, new assignment: when our military family lands at our destination with a PCS move, we're excited about all of the things that are new to us. To pass the time until our household goods arrive, we map out where we could go to church, where we could grab coffee, where we could pick up groceries, and so on. Then, we surf the blog posts on MilitaryByOwner and browse through other sites like Military Town Advisor for reviews on everything from the best pizza place to a preferred local veterinarian. By taking the time to learn what the area offers, we feel more comfortable in our new surroundings. How would you answer that question? With this post, I’m sharing a handful of responses! "If I can meet people, I'll feel more at home," Amber stated. "With this PCS, rather than choosing a military neighborhood, we moved into a part of town where local folks have lived for years. Wanting to feel more connected, I thought about making a sign for the front yard that said, 'Looking for friends!' Instead, I went to the front desk at my child’s school and asked where I could volunteer. Due to that, I now have a great circle of friends." "I was given this advice years ago: Talk to the locals. Initiate a polite exchange about the weather forecast at a mom and pop diner. Chat it up with the hairdresser at a popular salon. Ask around at the local garden center for what flowers or plants grow best in the area. If I can pitch in with a group that interests me, it makes my time at this new location seem more worthwhile. Even if an assignment looks great on paper, until you actually live there a while, you don’t know what it will be like. Sometimes it’s not all peaches and ice cream. If you’ve moved somewhere that isn’t your favorite, you most likely don’t want every conversation with your spouse to be filled with complaints. Also, as challenging as it might be, you’ll probably want to keep a positive outlook for your children. This is when you need a few survival tactics. Find a go-to place. This can be a library, a coffee house, a park, or even strolling the aisles of a Target store. By going to this feel-good spot, you’ll find a little cheer on even the roughest day. Additionally, you’ll have a reason to leave the house, and, if you choose, you can interact with others while out and about. Become adventurous with food. Try new cuisine at a café in town, experiment with a new recipe in your own kitchen, or sign up for a cooking class. Taking your taste buds on a wild ride might just be what you need to spice up an otherwise blah day! Even if fitness isn’t your thing, you’d be surprised at how much stress a good walk can relieve. With this in mind, a step counting device or an activity tracker on your smartphone can give you a boost of enthusiasm on those days when you don’t feel like doing much. Besides clearing your mind, an added bonus of going on regular walks is getting to know your neighborhood and potentially chatting with those who live nearby. Additionally, doing helpful stretching exercises or even attending yoga classes can help chase away any grey clouds. 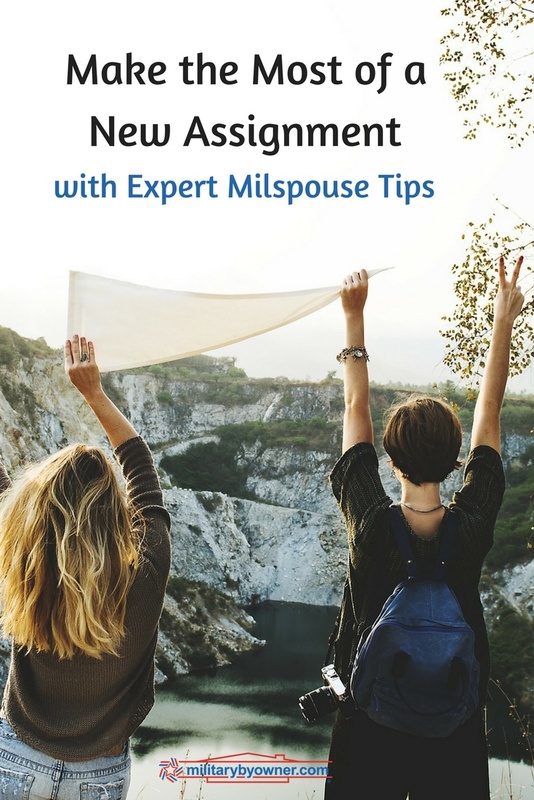 Although it’s often easier said than done, try not to pine for the assignment you’ve just left. Talk yourself into making the most of where you are. For example, consider the following idea from an internal behavioral health consultant. Let’s say you’ve just run errands or dropped the kids off at school. When you return to your driveway and park your car, before you get out, list five things that you like about where you live. It’s okay to repeat an item or two! The goal is to stir more positive thoughts about your life at this moment. If you make this a habit, the ideas will come to mind quickly and you’ll find more joy in the little things. 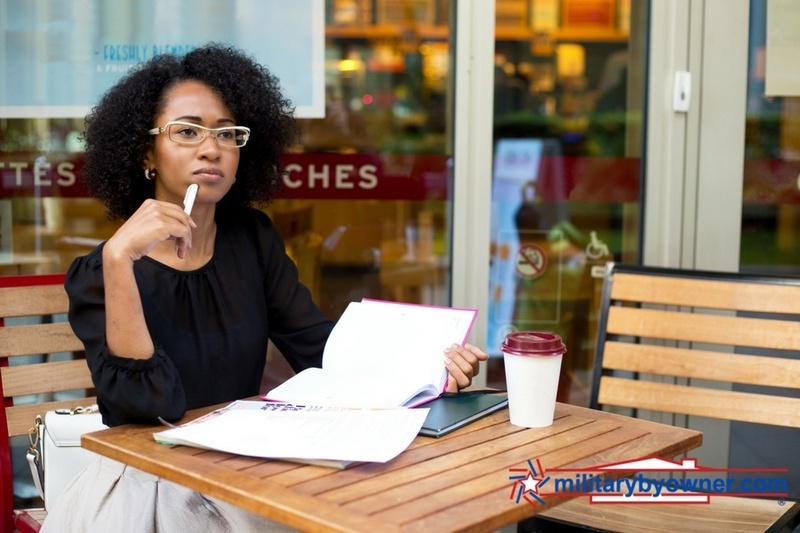 After the whirlwind of a military move, seek out what interests you to help you feel more settled. Maybe you can relate to the tips mentioned here or perhaps you have your own routine. Tell us here or on our Facebook page what helps you get to know YOUR new assignment!